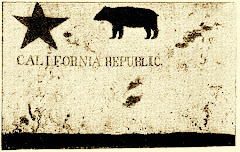 I keep thinking I'm ready to move on from the Sierra Nevada, John Muir, and the big trees, but yet another Civil War connection presents itself. Just goes to show that, to some degree, the Civil War touched every corner of the fledgling nation, and the young Union state of California was populated—much as it is now—by transplants from other states. There were many geographical features still to be named, and so it is that we have today the Alabama Hills (best known as the backdrop for Hollywood westerns), named by Southern-leaning miners to celebrate the Confederate commerce raider. And the nearby Mt. Kearsarge (among other things), named by rival miners from Northern states, after the USS Kearsarge sank the Alabama. According to the National Park Service, the General Sherman tree is the largest tree in the world (though not the tallest). By contrast, the General Grant comes in 3rd just ahead of the Lincoln tree. But Grant's tree has other distinctions. For one, it's the National Christmas Tree. Bet you didn't know that. For another thing, it's a shrine to service men and women. Quoting the NPS web site linked above, "the General Grant Tree is a living memorial to the men and women of the United States who have given their lives in service to their country. It was proclaimed a National Shrine on March 29, 1956 by President Dwight D. Eisenhower. The official dedication was made that year on Veterans Day, November 11, by the president's personal representative, Fleet Admiral Chester Nimitz." 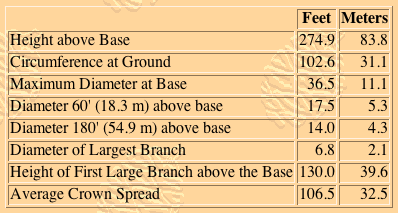 The Robert E. Lee tree, on the list of the 30 largest Giant Sequoia, ranks a respectable 12th (named during Reconstruction, five years after Lee's death). See a photo here. As an aside, the General Sherman apparently started out as a Communist tree. 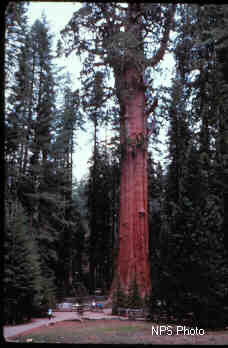 Quoting Wikipedia (at my peril), "The utopian socialist community Kaweah Colony first identified it as the largest giant sequoia and named it after Karl Marx. The National Park Service later renamed it." To those miners who named the Alabama Hills, I'm sure it hardly seemed an improvement. While the Muir-related theme of environmentalism and conservation still echoes through the blog, it bears mentioning that Abraham Lincoln himself signed the Congressional Act that gave protection to Yosemite Valley, and the Mariposa Big Tree Grove of giant sequoia, "upon the express conditions that the premises shall be held for public use, resort, and recreation [and] shall be inalienable for all time. . ."
Though the Yosemite Act granted "the 'cleft' or 'gorge' in the granite peak of the Sierra Nevada Mountains" to the state of California, it in effect created the first national park, predating Yellowstone and the NPS, and preserving the land in perpetuity. I need to query Brian Dirck of the perfectly named A. Lincoln Blog about whether any record exists of Lincoln commenting on "Yo-Semite Valley." Lincoln signed the Yosemite Act on June 30, 1864, but this radical, wartime expression of federal power is hardly mentioned in Civil War histories, or Lincoln biographies. Well, I'm not actually sure about that. Let's just say that if you restricted yourself to most Civil War histories, to David Herbert Donald's biography of Lincoln, to E. B. and Barbara Long's The Civil War Day by Day, and even to the phenomenal Morningside tome, Lincoln Day by Day, A Chronology, 1809-1865, you'd never know that during the midst of the endlessly bloody summer of 1864, Lincoln signed off on a precedent-setting bill that would set the stage for a system of national parks ("half empty" types may point out that the armies under his command consecrated quite a number of national battlefields and monuments). What else happened on that momentous day? The big news, in both the Long Day by Day, and Morningside's Lincoln chronology, was Lincoln's acceptance of Salmon Chase's resignation from his Treasury cabinet position. Out in the field, Jubal Early's troops, advancing northward, arrived at New Market. Lincoln Day by Day includes some other tidbits for June 30, 1864: [Lincoln] "assents to use of grounds between White House and War Dept. by St. Matthew's Colored Sunday School for Fourth of July celebration. . . .Abandons (Chiriqui) colonization idea. [Plan to send 500 able-bodied Negroes as first colony on Isthmus of Chiriqui was opposed by Honduras, Nicaragua, and Costa Rica." Happily, he found time during a busy summer day to enact the preservation of Yosemite, and the Mariposa grove. Git thee behind me, Pombo! photo at top: "Fallen Monarch", Sept. 15, 1911, Mariposa Big Tree Grove.